Back in 2017, gamers were fortunate enough to get hands-on with one of the finest [email protected] titles – Everspace. 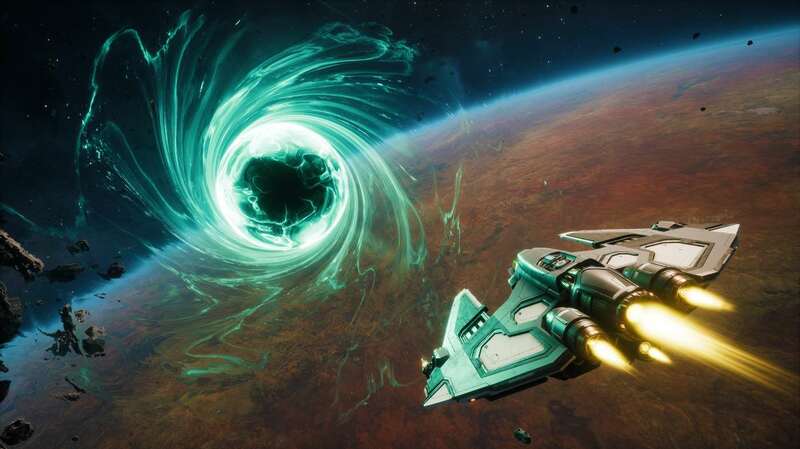 For those that that have yet to play it, Everspace is the perfect mixture of arcade space flight and fight, but with an extra dose of rogue-like for those who enjoy a challenging experience. On top of that, the incredible visuals that light up the screen are enough to compete with many of the triple-A titles out there and with gameplay that had us reeled in for one more go time and time again, it certainly became one of the best games of 2017. Now though, it’s time to head back into the far reaches of the nebula as Everspace has expanded and Encounters is out there… but is the trip back as enjoyable as our first trek amongst the stars? 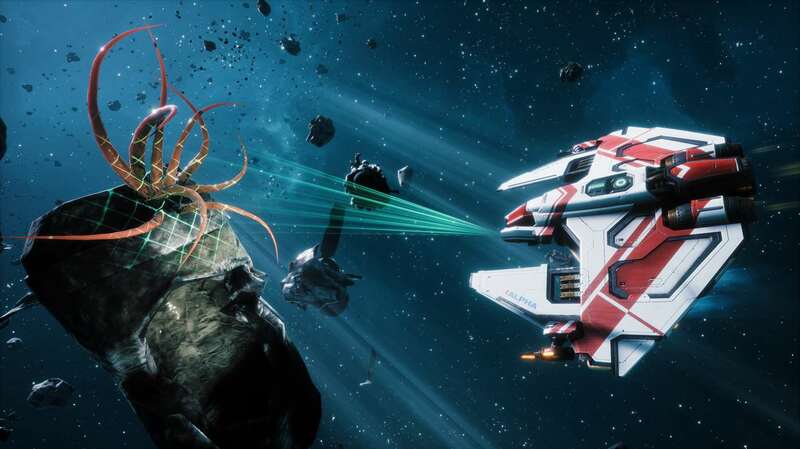 For me, Everspace brought the exact experience I was looking for first time around. With Elite Dangerous already available for those times we want to get lost amongst the galaxies within a pure simulation-style experience, there was just one slot left to fill for that arcade-y itch. Everspace did it. Now though, going back for more of the same was never going to be enough to keep me interested. Fortunately, that’s not an issue with the latest Encounters DLC as there is plenty for players to sink their teeth into once more. So, it’s fair to say that the ships are quite easily the most important part of Everspace. They are your go-to mode of transportation, and the key to success or failure – along with the tactics you employ. So, the fact that a new ship is available within Encounters is quite a big deal. The ship in question is the shiny new Colonial Sentinel, a medium class fighter with many similarities to the Interceptor. Our lovely new space machine however isn’t quite the Interceptor, it’s better! It comes with some notably stronger shields – which you will quickly come to rely on – an EMP device that is your saviour when trying to escape, and comes with the ability to jump and hack your way through different types of portals and hatches. If that’s not enough to have piqued your interest, then chances are you’ll want to hear about the new weapons – because what is a new ship without some exciting new firepower right? The main entries within this department are certainly nothing to scoff at, and with the new and electrifying Lightning Gun, the cool-sounding Neutron Cannon, the commanding Plasma Thrower, and the rather wacky Goo Gun, it’s fair to say there will definitely be something for you. And that’s not mentioning that the rainbow of colours they let out between them is certainly a luscious sight for the screenshot fanatics out there. A favourite has to be the Goo Gun, if only for the fact it takes away the semi-serious nature of this epic sci-fi setting and pushes in some comedic value, sending green slime in the way of the many enemies coming your way. It’s not exactly the most powerful weapon though, so if it’s damage you’re trying to inflict then the Lightning Gun is by far the way to go given the chain reaction it gives off when it connects with a group of enemies. But it’s not just new ships and weapons that Encounters is all about, and the main draw of this expansion is in the ‘encounters’ you now face. In the base game, encounters weren’t exactly entirely void from the experience – at least not if you took in the story experience – but we now have a bunch of NPC characters that offer more for us to get stuck into. Each of the missions offered are fairly varied in context and chances are that for the majority of them you’ll be heading out into combat – which given the laser-toting nature of the game isn’t entirely suprising. Fortunately, with a combat system that is already well refined and rather enjoyable, combat missions are very much welcomed, however for those hoping for some radical changes in the mission variety department, that’ll be where the biggest, and generally only disappointment with Encounters may come from. Of course, should you decide to change up your tactics for each mission, then you’ll soon find ways to bring a varied experience to each one. 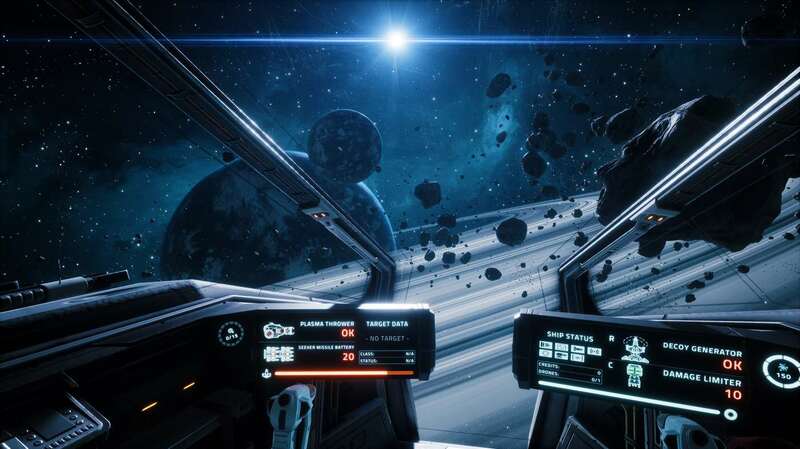 Encounters is a great addition to Everspace. Whilst it doesn’t change the general fabric of the game, there are certainly plenty of new additions to get stuck into, and the price more than warrants returning to one of last year’s finest rogue-like adventures. If you’re after a quick return to the stars there may be none better, so if you have some spare pennies, go and head off to find yourself an encounter.